Monday through Friday, 7:30am-5pm. Saturday 8am-4pm. 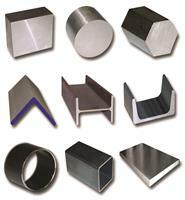 Alro Metals Outlet is a retail store to purchase metals, plastics and industrial supplies. Alro is a metals service center with 60 locations in 12 states. Alro distributes metals, industrial supplies and plastics. Alro offers cut-to-size metals and plastics with next day delivery to over 25,000 customers in North America. The metal inventory includes: aluminum, alloys, carbon steel, cast iron, stainless steel, tool steel, brass, bronze and copper. Integrity. Loyalty. Honesty. These principals have guided Alro since our founding in 1948 by brothers, Al and Robert Glick. Metals & Plastics, Cut To Size, Delivered Next Day. Place your order today at www.alro.com. Since 1948, Alro has been focused on exceeding our customers' expectations. Alro offers metals, industrial supplies and plastics with over 60 locations in 12 states. Cut-to-size metals and plastics with next day delivery to over 25,000 customers. Integrity. Honesty. Loyalty. Principles from our founders, Al and Robert Glick. With the Alro culture, we treat each customers with the same level of respect, small or large. Processing offerings includes waterjet, plasma, laser cutting, precision sawing, and more. Browse our product catalogs or visit the Alro Online Store to place your order today!